AMSTERDAM: Voting in provincial elections began in the Netherlands on Wednesday, just two days after a Turkish-born man was arrested over a shooting attack in the city of Utrecht, boosting Dutch populist parties. Pre-election polls had already showed Prime Minister Mark Rutte’s centre-right coalition was likely to lose its majority in the Senate. 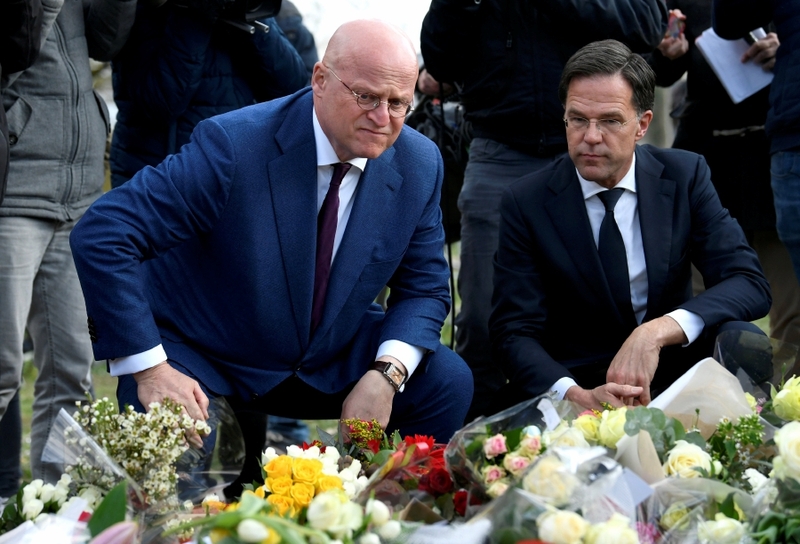 But the attack in Utrecht - which killed three people - was expected to lead to the strongest-ever showing by two populist parties. “It’s 100 percent clear that the coalition will book major losses,” pollster Maurice de Hond said in an election preview. A snap poll conducted after Monday’s shooting showed that determination had grown among populists to turn out and vote, while support for traditional parties remained lacklustre. Drawing on the historical comparison to 2002, when populist Pim Fortuyn was assassinated just before national elections, he forecast a combined showing of up to 25 percent for populists. “It will be a close call as to whether the coalition plus even just one other opposition party” will be able to command a majority after the new Senate is seated in May. A victory for Dutch populists would worry traditional European parties, who breathed a collective sigh of relief after Rutte defeated the right wing in 2017 general elections. But the Dutch right wing, dominated for a decade by the Freedom party of Geert Wilders, has been transformed in the past two years by the rapid growth of a second populist party. The Forum for Democracy, following the lead of U.S. President Donald Trump, emphasises “Dutch first” cultural and economic themes. Its leader, Thierry Baudet, shocked establishment parties this week by blaming the government for the Utrecht attack on the same day it occurred. Others had suspended campaigning. The motive of the 37-year-old man arrested on suspicion of carrying out the attack on a tram is not yet known. Prosecutors have not ruled out terrorism. The suspect is due to appear before a judge by Thursday. De Hond said that the two populist parties will have their best-ever combined showing, with Forum for Democracy possibly winning more votes than Prime Minister Rutte’s conservative VVD. The Dutch economy has been one of Europe’s best performers under successive Rutte-led governments, but resentment over early 2010s austerity programs linger. Recent debate has focused on funding the government’s plans to meet international goals on climate change, and the likely cost to taxpayers. The usual supporters of the conservative parties in Rutte’s coalition are sceptical of spending on climate change. Many left-leaning voters feel not enough is being done and have defected to the pro-environment Green Left party, which is also expected to book big gains on Wednesday. Ironically, the immediate result of a victory for populists, who oppose environmental spending, would be to force Rutte’s coalition to work more closely with Green Left to pass legislation.